GRAPHIC LITHO is . . . Giant Posters, Life Size Point of Purchase Displays & Life Size Standees, Maps, Store Signage, Growth & Wall Charts, Fine Art Reproductions, Oversize Box Wraps, Books, Catalogs, Brochures, Promotions, Sell Sheets, Greeting Cards, Box Labels, Tape Measures, etc. From the conception of an idea through the distribution of the finished product we will exceed your expectations by delivering a quality product based on your specifications and meeting your delivery needs. 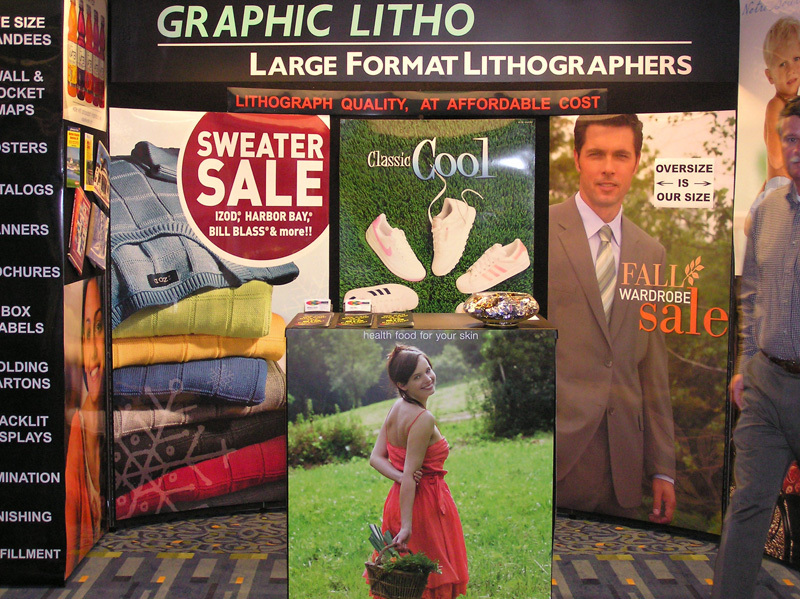 Graphic Litho offers one stop shopping for multi-color, offset lithography in sheet sizes up to 54" X 77"! "I wanted to give you an update on Nick’s assessment of the print run yesterday. He could not have been more pleased! He hung one of the samples I brought back right over his desk. The color match was great. Please; again, pass on my thanks to Mike and…your entire staff; for making me enjoy visiting each and every time." "Got them and they look fantastic! We are very pleased with all the work you have done with us so far and are very happy with your service."